Do you have dry eyes? You’re not alone. Up to 12 million Americans suffer from a condition called Dry Eye Disease or Ocular Surface Disease. The doctors at Magruder Eye Institute have the latest in technology to diagnose and manage or treat dry eye symptoms. An evaluation with one of our doctors would determine the type of dry eye you have and would cater a treatment plan specific to you and your symptoms. Think you may have dry eye syndrome? Take our dry eye self-evaluation test here! Technology – It has been proven that sitting in front of a computer, staring at a tablet, TV or cell phone for hours may cause you to blink about 2/3 less than needed to maintain a stable tear film on the eye. This contributes to early Dry Eye Disease. Environments – Some work environments that use strong air conditioning (removes moisture from the air) or are dusty and windy may be harmful to patients more likely to develop dry eye disease. Meibomian Gland Dysfunction – These glands secrete oil into tears that keep the tears on the eye. Patients with this dysfunction typically present with symptoms of burning, irritation, dryness, and decreased contact lens wearing time. Aging eyes – As people age, it is completely natural that the tears we produce have less natural oils in them. The aging population has specific dry eye related problems. Menopause – Females entering menopause are among the most prone to dry eye. Medications – Antihistamines and decongestants have a well-known side effect of causing dry eyes but other medications can cause dry eye as well (These medications include, pain relievers, antihistamines, tranquilizers, oral contraceptives, beta-blockers, diuretics, and antidepressants). Contact lens use – Wearing contact lenses can contribute to dry eyes. Diseases – Certain diseases are linked to chronic dry eye, such as Sjogren’s syndrome. Some other diseases that impact dry eyes are Keratoconjuntivitis Sicca, Xerophthalmia, Lupus Erythematosus, Grave’s disease, Diabetes, and Scleroderma. Vitamin A deficiency – This uncommon vitamin deficiency exists with chronic failure to eat sufficient amounts of vitamin A or Beta-carotene. BlephEx®, a new eyelid hygiene procedure performed in-office that helps avoid dry eye syndrome and blepharitis. LipiFlow Thermal Pulsation System: a revolutionary step to treating dry eye by opening and clearing blocked meibomian glands by delivering pulsed heat to the inside of the eyelids to increase the natural oils and eye moisture. Prescription eye drops that stabilize the cornea, reduce inflammation and increase tear production. Lubricating eye drops that can temporarily relieve some symptoms. Lacrimal plugs that prevent tears from draining away too quickly. Gland expression that clears ducts and allows more moisture production. 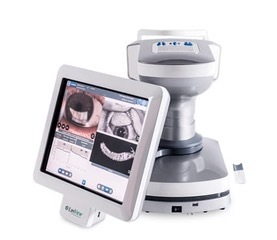 Magruder Eye Institute uses the LIPIVIEW II Ocular Surface Interferometer to measure lipid layer thickness (LLT) with nanometer accuracy, capture blink dynamics, and image Meibomian gland structure. 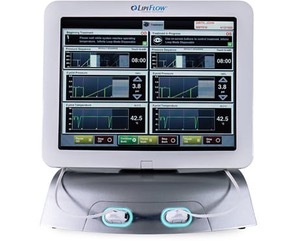 The LIPIFLOW Thermal Pulsation System is used to treat Meibomian Gland Dysfunction patients in-office to improve gland function. If you’re suffering from any symptoms of Dry Eyes, schedule an appointment with Magruder Eye Institute today. We’ll diagnose your condition and help you determine the treatment that can provide quick, lasting relief.